Sunday 16th September, 2018, 12pm - 6pm. For one day only FIG presents Rosie McGuinness, the second artist to exhibit new work as part of the FIG Unframed programme at FIG at The Shop at Bluebird, Carriage Hall, Covent Garden, London WC2E 9DP. McGuinness will present a large group of figurative works made at the point where fashion drawing meets life drawing. With an economy of line few can match McGuinness studies form and through line creates pattern, shape and style. She invokes Henri Matisse and Jean Cocteau at the altar of High Fashion and Art School Life Class. At the presentation FIG will be launching three new FIG Prints from McGuinness minimally titled Blue I, Blue II and Sandal, 2018. Working by hand, in pen, inks and paints, McGuinness is one of FIG’s rising stars. She has a growing following and has gained recent commissions from i-D, The New York Times, Dior, Garage magazine, Penguin Books and the V&A museum. McGuinness lives and works in London. 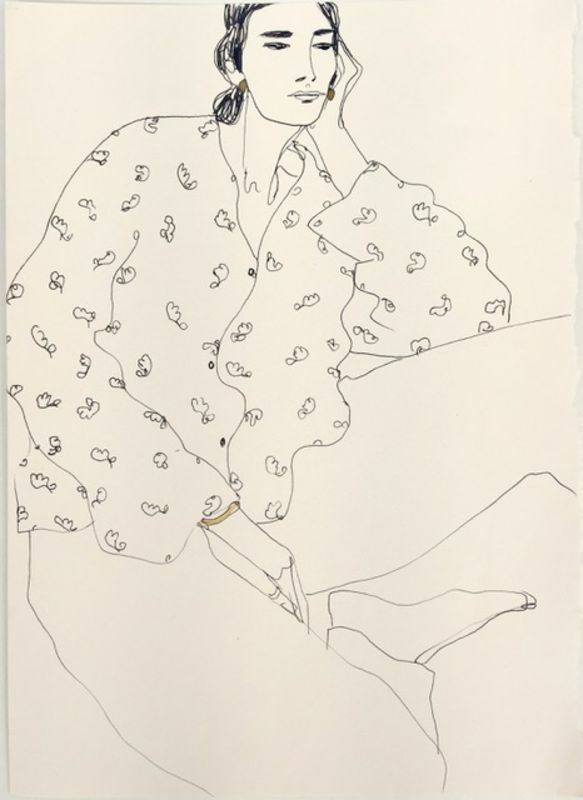 FIG Unframed presents an exciting one-day opportunity for collectors and fashion illustration fans alike, to view works, made by some of fashion’s most talented image makers, that are direct from the artists’ studios and previously unseen.